Carolyn Shapiro is associate professor of law and co-director of the Institute on the Supreme Court of the United States at Chicago-Kent College of Law. Contemporary Supreme Court confirmation hearings are both exciting and disappointing. They are exciting because they provide a chance to hear directly from the nominee, who otherwise may not be well known. The interested public can learn a bit about the individual’s public personality and intelligence. On the other hand, the hearings are disappointing because the nominee tells us so little about what he or she actually thinks about the law – and especially about the hot-button legal issues of the day. To the contrary, rather than serious conversations about the nominee’s judicial philosophy, the Constitution, and the role of the courts, we get lengthy speeches by senators and bland answers from the nominee. Yet a spate of recent scholarship (including my own) shows that Supreme Court confirmation hearings can include important and substantive discussions. Indeed, during the 1980s and 1990s – even after the failed nomination of Judge Robert Bork – nominees and senators engaged in serious discussions of judicial philosophy. Although since 2000, such substance has faded, the history illuminates what we can realistically expect – and what we should demand – from what could be an important and meaningful public event. That timing does not appear to be accidental. The year before Harlan’s nomination the Supreme Court decided Brown v. Board of Education, declaring Jim Crow-era racial segregation of schools unconstitutional. Sen. James Eastland of Mississippi, who became chair of the committee in 1956 – a position he held until 1978 – as well as two other members of the Committee – Sen. John McLellan of Arkansas and Sen. Sam Ervin of North Carolina– were southern Democrats who deeply opposed Brown. They used Supreme Court confirmation hearings to rail against the decision, which they considered a usurpation of legislative power and state authority and an improper judicial “amendment” to the Constitution motivated by the justices’ own policy preferences. Potter Stewart’s 1959 confirmation hearing is a case in point. While questioning Stewart, McClellan announced that he “wholly disagreed with” Brown and demanded to know what Stewart thought. (Stewart demurred.) Eastland asked Stewart if overruling the separate-but-equal doctrine was “an amendment of the Constitution.” And Ervin, who made a lengthy speech condemning Brown as “a most unfortunate decision from the standpoint of law, Constitutional law in the United States,” explained that the Court “should have turned the clock back to 1868 when the [Fourteenth] Amendment was ratified” to determine the original understanding of the amendment with respect to segregation. Perhaps even more surprising to modern observers than the controversy over Brown, however, is that during the 1950s and 1960s, most senators on the committee asked very few, if any, questions of the nominees. Segregationist senators dominated the hearings. Between 1955 and 1969, Eastland, Ervin and McLellan, along with Republican segregationist Sen. Strom Thurmond of South Carolina, who joined the committee in the mid-1960s, asked 70 percent of the substantive questions at the hearings, even as they began to shift their emphasis away from Brown and onto the Warren Court’s criminal-procedure jurisprudence and its redistricting and voting-rights cases. Justices Thurgood Marshall and Abe Fortas, for example, were grilled at length about such issues. But if these particular senators were not concerned about a nominee, the hearing was short and polite. At Justice Charles Whittaker’s 1957 hearing, for example, Whittaker’s testimony, which takes up exactly three pages of transcript, consisted largely of biographical information — he rode a pony to high school “through 6 miles of mud night and morning.” Justice Byron White’s hearing in 1962 lasted a total of 95 minutes, including introductions and enthusiastic testimony from representatives of the American Bar Association and the Colorado Bar Association. At that hearing, none of the segregationists asked the nominee a single question; McClellan did not even attend. This pattern changed in the 1980s, when the hearings began to be televised. The underlying norms of the hearings shifted, and most senators began to participate actively. Today, of course, every senator on the committee is present for the hearing and asks questions. Every senator gives an opening statement. Nowadays, in fact, the entire first day of the hearing is taken up by these opening statements, along with a statement by the nominee. And although one might wonder whether that particular allocation of time is worthwhile, the current intense attention of senators, media and the public alike is commensurate with the importance and influence of the Supreme Court. Of course, complaints about confirmation hearings are common. Some people argue that they have become over-politicized, a view that appears to be based on a background assumption that at one time, the hearings focused primarily on nominees’ qualifications and ethics. This assumption is wrong, even if the substantive questions once came from only a small number of senators who were preoccupied by specific issues. There is even hard data. Law professor Lori Ringhand and political scientist Paul Collins, in their excellent book Supreme Court Confirmation Hearings and Constitutional Change, report their findings from a large-scale qualitative and quantitative analysis of the hearings. And they find that senators have always asked questions about substantive areas of law. There was no hazy past in which senators routinely avoided difficult subjects in favor of a gentlemen’s handshake; Whitaker’s and White’s hearings were the exception, not the rule. Of course, ethics and qualifications are not irrelevant during the hearings. In fact, after Justice Abe Fortas’s failed nomination to become chief justice and his resignation from the Supreme Court in 1969 under an ethical cloud, subsequent hearings focused particularly heavily on ethics and qualifications. From 1955 through 1968, only about a quarter of questions asked focused on ethics, while from 1969 through 1975, almost half did. Indeed, after successfully nominating Warren Burger as chief justice in 1969, President Richard Nixon offered two nominees, Clement Haynsworth and G. Harold Carswell, who were both rejected in large part because of significant concerns about their ethics and qualifications. Thus, by the time Justice John Paul Stevens testified in 1975, questions about ethics and qualifications were routine. 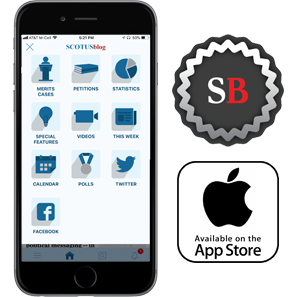 Stevens, then a judge on the U.S. Court of Appeals for the 7th Circuit, was asked about, for example, his recusal practices and about whether he received income from any nonjudicial sources. Some senators also were worried about Stevens’ health, which they discussed in some detail — ironically, given that more than 40 years later, Stevens, although retired, is still with us. And of course, committee members have continued to ask about ethics and qualifications when they deem it appropriate. But it is wrong to conclude that some kind of undue politicization has evicted ethics and qualifications from the primary focus of senators’ questioning. While some complain that the hearings have veered away from a focus primarily on ethics and qualifications, others lament what they see as less candor by the nominees. More specifically, one current complaint is that nominees refuse to answer important questions. Indeed, that complaint underlies then-Professor Elena Kagan’s famous characterization of the hearings as a “vapid and hollow charade.” Although this complaint has some merit, as discussed below, just as there was no time when ethics and qualifications were all that mattered in the confirmation process, so too was there no time when nominees freely answered all the questions they were asked. To the contrary, nominees have always declined to answer some questions because of an unwillingness to promise how they will vote on particular cases or issues. Moreover, although many believe that Bork’s failed nomination led to nominees becoming increasingly reticent, the data do not bear that belief out. Ringhand and Collins, as well as political scientists Dion Farganis and Justin Wedeking, have examined the extent to which nominees decline to answer questions. Perhaps surprisingly to many of us, the rate at which this occurs has remained more or less constant over time. Yet the tone and content of the hearings have changed in the new millennium, and not for the better. Ringhand and Collins recently compared the rate at which nominees refuse to answer questions to the rate at which they offer “firm answers about concrete doctrines and cases.” Beginning in 1987 (with Bork) and through 1994 (with Justice Stephen Breyer), all nominees gave firm answers significantly more often than they demurred. These observations are consistent with my argument that the hearings held during the late 1980s and 1990s were remarkably substantive. This is not to say that nominees during those years made commitments about how they would rule on contested legal issues. But they did discuss their judicial philosophies, their past writings and their beliefs about the role of judges. 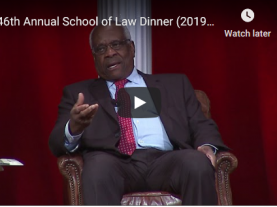 To give just two examples: Justice Clarence Thomas talked extensively about his reliance on natural law as, for example, described in the Declaration of Independence, as an important source of information about the Framers’ thinking. And Justice Ruth Bader Ginsburg reiterated her belief that Roe v. Wade had been correctly decided, even as she criticized its reasoning. Specifically, she described the relationship between liberty, privacy and equality and discussed the necessity that government treat women as full human beings, all of which she believed required the outcome in Roe. But beginning with Chief Justice John Roberts’ hearing (the first one after Breyer’s), nominees have been less consistently willing to have meaningful discussions about the law. Most notably, Ringhand and Collins’ data show that both Roberts and Justice Neil Gorsuch gave firm answers significantly less often than they refused to answer. Gorsuch even hesitated before eventually acknowledging, circuitously, that Brown v. Board of Education was rightly decided.